Wen-Tsun Wu was born in Shanghai and he was brought up in that city. He studied mathematics at Chiao-Tung University, Shanghai during a particularly difficult period since war broke out between China and Japan in 1937. In August 1937 the Japanese began an attack on Shanghai which was strongly defended by the Chinese. For over three months Shanghai was the centre of a fierce battle during which time it faced air and sea attacks from the Japanese who made amphibious landings on the beaches of the Jiangsu coast. Shanghai fell to the Japanese on 26 November 1937, large numbers having been killed on each side. The University was temporarily relocated to the French Concession in Shanghai and Wu continued his studies of mathematics, graduating with his first degree in 1940. However, the war was still gripping China at this time, and the University was dispersed to various places in central China, so Wu could not continue his studies and undertake research as he would have wished. He took a position as a mathematics teacher in a school. This meeting with Chern was decisive for the future of my career in mathematics. 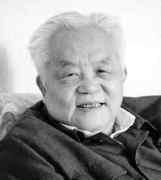 Wu was admitted as a research student at the Institute of Mathematics and, also in 1946, took the examinations to compete for a scholarship to study abroad. He was successful and in 1947 he went to France as part of the Sino-France Exchange Program. He went to the University of Strasbourg where he undertook research with Charles Ehresmann as his advisor. Wu's first publication in 1947 was Note sur les produits essentiels symétriques des espaces topologiques Ⓣ. The following year saw a wealth of papers from Wu: On the product of sphere bundles and the duality theorem modulo two; Sur l'existence d'un champ d'éléments de contact ou d'une structure complexe sur une sphère Ⓣ; Sur les classes caractéristiques d'un espace fibré en sphères Ⓣ; Sur le second obstacle d'un champ d'éléments de contact dans une structure fibrée sphérique Ⓣ; and Sur la structure presque complexe d'une variété différentiable réelle de dimension 4 Ⓣ. Wu was awarded his doctorate in 1949 for his thesis Sur les classes caractéristiques des structures fibrées sphériques Ⓣ in which he made a detailed study of characteristic classes via Grassmannian varieties. From 1953 onwards I made a somewhat systematic investigation of classical topological but non-homotopic problems which were being ignored at that time owing to the rapid development of homotopy theory. I introduced the notion of imbedding classes, and established a theory of imbedding, immersion, and isotopy of polyhedra in Euclidean spaces which was published in book form later in 1965. I was initially struck by the power of the computer. I was also devoted to the study of Chinese ancient mathematics and began to understand what Chinese ancient mathematics really was. I was greatly struck by the depth and powerfulness of its thought and its methods. It was under such influence that I investigated the possibility of proving geometry theorems in a mechanical way. Desarguesian geometry and the Desarguesian number system. Orthogonal geometry, metric geometry and ordinary geometry. Mechanization of theorem proving in geometry and Hilbert's mechanization theorem. The mechanization theorem of (ordinary) unordered geometry. Mechanization theorems of (ordinary) ordered geometries. Mechanization theorems of various geometries. Wu and his followers have made great progress and this book should be of interest to Western readers in particular, not least for the diversity of topics addressed by the methods. Wu extended his mechanization interest, combining it with his original interest in topology to produce computational techniques to handle rational homotopy theory. ... in recognition of achievements in mathematics research, both in pure mathematics and in mathematics mechanization. The present 'Selected papers' may be considered as a brief survey of my scientific career in mathematical sciences. My researches in mathematical sciences consist of two stages. The researches in the first stage, started in 1947, are in pure mathematics, mainly in algebraic topology, occasionally also in algebraic geometry. This ended actually in 1965, the beginning of the Cultural Revolution. ... During the Cultural Revolution there were however some sporadic research works in pure mathematics, with papers published a little later. ... Such researches stopped completely at the end of the Cultural Revolution, viz. the year 1976. The second stage of my mathematical researches took place during the Cultural Revolution. It took place owing to my learning of the history of our proper mathematics in ancient times. ... During the Cultural Revolution I was sent to some computer-manufacturing company to learn and work with laborers. Being struck by the powerfulness of computers I began to consider applying computers to the study of mathematics. This resulted in a method of proving geometry theorems by means of computers. Extending further the method gave rise to the subject that I called mathematics mechanization, which had an immense variety of applications in science and technology, besides mathematics itself.